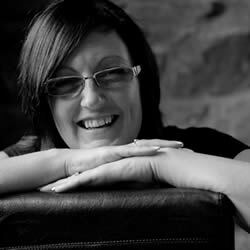 Our Story - TI Accountancy Ltd.
Tracy’s business career took off when at 21, she joined a large electrical contractor as their office manager. As well as taking care of the day to day running of the office, she managed the payroll, cashflow, timesheets and the working schedules of a dozen busy electricians. In just a couple years the firm grew to have a 150 electricians working for them. “During that time I set up all their systems such as job costing, payroll, day to day book keeping, procurement,” she explains. “The company was so successful that in 2006 the firm was bought out by a much larger organisation. While It was great news on one level, part of me felt like weeping because I knew someone was going to ‘take my accounts away’ from me. These systems were mine and the idea of other people coming in and getting involved filled me with horror. As I predicted, the accounting systems I set up were swallowed up by the larger organisation and my role changed to become Contracts Manager. It was a great job with lots of responsibility, but at the back of my mind I missed the financial planning and detail of my previous role. While all this was going on, a friend started an after school club and asked me to help her with her accounts. So in order to keep everything above board, I set up my accounting and payroll firm on a small scale and part time basis. I worked out a really quick and efficient way of offering a payroll service for small businesses which would be more cost effective than getting it done by an accountant. Over time word grew and more clients came my way. It became obvious that I needed some help in the business, so my mother joined me and kept the wheels turning while I continued with my role as Contracts Manager. In 2007 I decided it was time to take the plunge and I gave up my full time job to focus on my payroll and accounting business. With the help and support of my mother, I formally launched myself and TI Accountancy onto the business community in South Lakes & Furness area. And quite honestly I’ve never looked back. 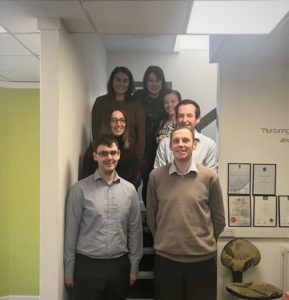 I now have a fantastic team in the office who are all either AAT Qualified or working towards their AAT Qualification. I’m passionate about business and helping business owners realise their dreams and reach their potential. Sometimes people need someone to be on ‘their side’ and hold their hand through some tricky moments – and that’s what I’m here for. One the of greatest joys for me is when I see someone develop from knowing nothing about the mechanics of running a business and then suddenly take flight to fulfilling their dream. "They have made my life much less stressful"
"I have recently used TI Accountancy for year end accounts, and can honestly say they have made my life much less stressful. Although they are a small team of local people, they provide a professional service that is as good as any big company. Three words sum up TI Accountancy. Efficient. friendly and reliable."